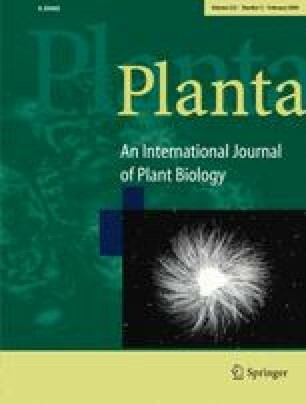 Both root architecture and plant N nutrition are altered by inoculation with the plant growth-promoting rhizobacteria (PGPR) Phyllobacterium strain STM196. It is known that NO 3 − and N metabolites can act as regulatory signals on root development and N transporters. In this study, we investigate the possible interrelated effects on root development and N transport. We show that the inhibition of Arabidopsis lateral root growth by high external NO 3 − is overridden by Phyllobacterium inoculation. However, the leaf NO 3 − pool remained unchanged in inoculated plants. By contrast, the Gln root pool was reduced in inoculated plants. Unexpectedly, NO 3 − influx and the expression levels of AtNRT1.1 and AtNRT2.1 genes coding for root NO 3 − transporters were also decreased after 8 days of Phyllobacterium inoculation. Although the mechanisms by which PGPR exert their positive effects remain unknown, our data show that they can optimize plant development independently from N supply, thus alleviating the regulatory mechanisms that operate in axenic conditions. In addition, we found that Phyllobacterium sp. elicited a very strong induction of AtNRT2.5 and AtNRT2.6, both genes preferentially expressed in the shoots whose functions are unknown. This work was supported by grants from the Centre Technique Interprofessionnel des Oléagineux Métropolitains (CETIOM) and the Institut National de la Recherche Agronomique (INRA) to S. Mantelin, from CETIOM and the Région Languedoc-Roussillon to M. Larcher, and from the INRA Departments “Santé des Plantes et Environnement” and “Biologie Végétale” to T.J. Tranbarger. Dr Patricia Nazoa (UMII/INRA, Montpellier, France) is acknowledged for assistance in experiments using the pAtNRT2.1::GUS Arabidopsis transgenic plants. Pascal Tillard (INRA, Montpellier, France) is acknowledged for 15 N assays. We thank Dr Georg Leggewie (MPI for Molecular Plant Physiology, Golm, Germany) for helping us in the design of the AtAMTs and AtNRTs primer sequences for the real-time RT-PCR analysis. We are grateful to Dr Philippe Joudrier and Dr Rémi Alary (INRA, Montpellier, France) for making their real-time PCR equipment available to us.